Get A Free Estimate - Call Now! We want you, your friends, your neighbors, and your customers to be satisfied with our work. When we are done you will know that your pest problems are under control. Denver residents know the most experienced exterminator company in Denver is Beeline Pest Control. We use top-of-the-line technology to provide you with the best pest control in Colorado. When you call our professional staff you can be sure that we will solve your pest problem completely, and we will do so using methods that are safe for your family, employees, and customers. 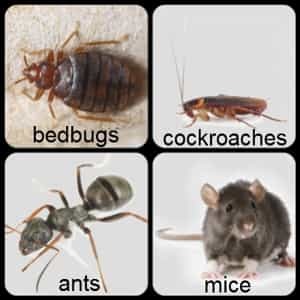 We specialize in elimination of household pests from mice to bedbugs. Your home, office or place of business is no place to have an infestation. Our quality service, affordable pricing and expert staff are just what you need to solve your problem. At Beeline Pest Control no pest problem is too big or too small. If you suspect you have a pest problem don't wait until it gets worse - an infestation can be dangerous and expensive. Call us for an inspection and free quote. We will send an experienced pest control specialist inspect your home or business and give you the options you need. We also do FHA termite inspections to meet FHA requirements to speed up the close of your new home. Call Beeline Pest Control at (720) 897-8126 Now for a Free Estimate! Exterminators You Can Count On. Call for a Free Quote! Copyright © 2018 beelinepestcontroldenver.net All rights reserved.